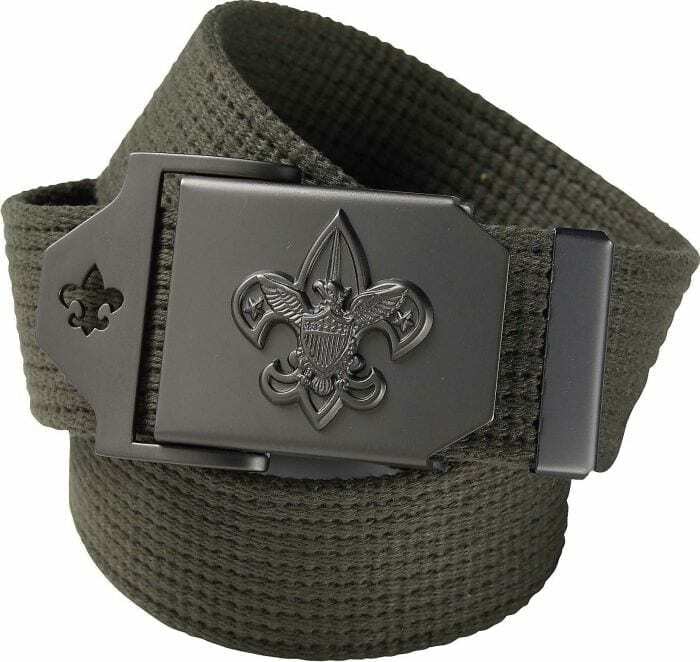 This is the required official Scouts BSA uniform web belt with buckle. The belt measures 1.5 inches wide and is adjustable. It is made of cotton and is olive green with a metal buckle. The buckle has the BSA Emblem on the buckle front and the friction closure has a fleur-de-lis cut-out. Up to waist size 60″.